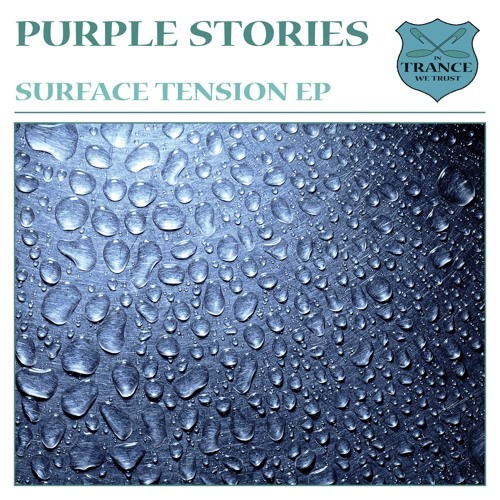 In Trance We Trust 586-0 Purple Stories - Surface Tension EP 1. Surface Tension 2. Mente Dualistica Joining the ranks of the In Trance We Trust label, new act Purple Stories defies the competition with their massive “Surface Tension EP”, including the track “Mente Dualistica”. The polish producer duo Purple Stories made quite an impression in a short bit of time. After their first releases "Close Your Eyes" and "Ithilien" for the Saturate Audio imprint, they were quickly spotted by the big names: the singles "Tramontando", "Cookie Monster" and "Still Drunk" appeared on Ferry Corsten's Flashover Recordings while Armin van Buuren's Armada label featured Purple Stories for the singles “Vinicity" and "Wake Up" by York. Markus Schulz even said: "I'm expecting big things from Purple Stories in 2013, they're on fire." This time it was Black Hole Recordings that secured the guys for a release on the In Trance We Trust sublabel. With “Surface Tension” and “Mente Dualistica”, Purple Stories seem to bring a true homage to the early, packed to the rim trance events. Or to put it in other words: this is what trance really is. Both tracks stand out with elaborate and lush synth arrangements that bring forth a big, symphonic sound. The spun out breaks with smooth, padded strings transcend into climaxing breaks; superb material for a multiple hour live DJ set.